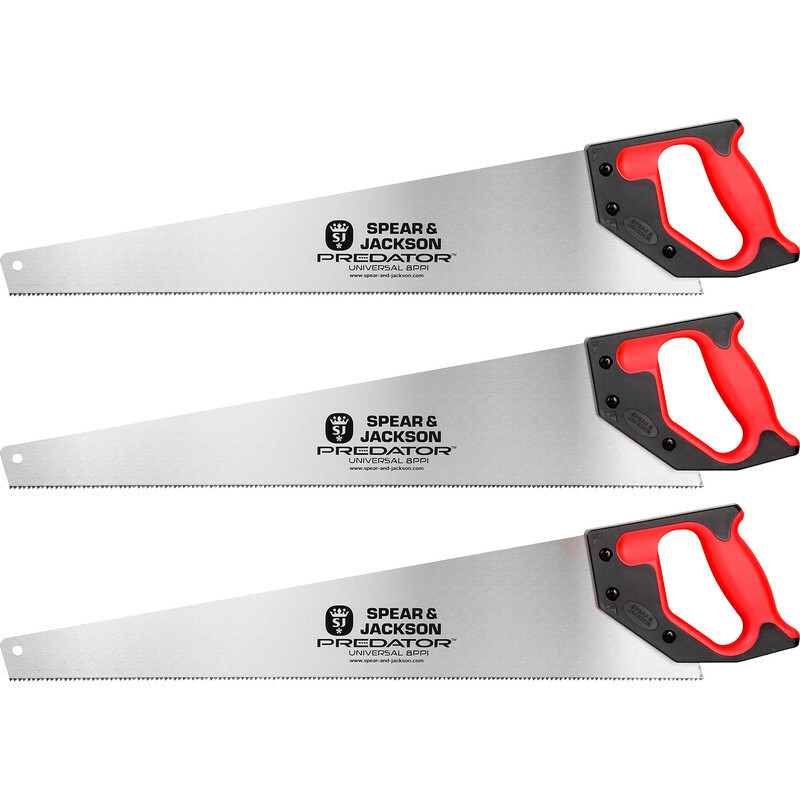 Triple pack of the Predator multi purpose saw. Rigid blade minimises ‘whip’ and vibration. Ideal for timber, hard and softwood, chipboard and MDF. 8 TPI. Predator Universal Saw Triple Pack 550mm (22") (3 Pack) is rated 4.8 out of 5 by 5. Rated 5 out of 5 by Anonymous from Great trade price Had these saws before , they last for ages and cut thru softwood and hardwood alike with ease .